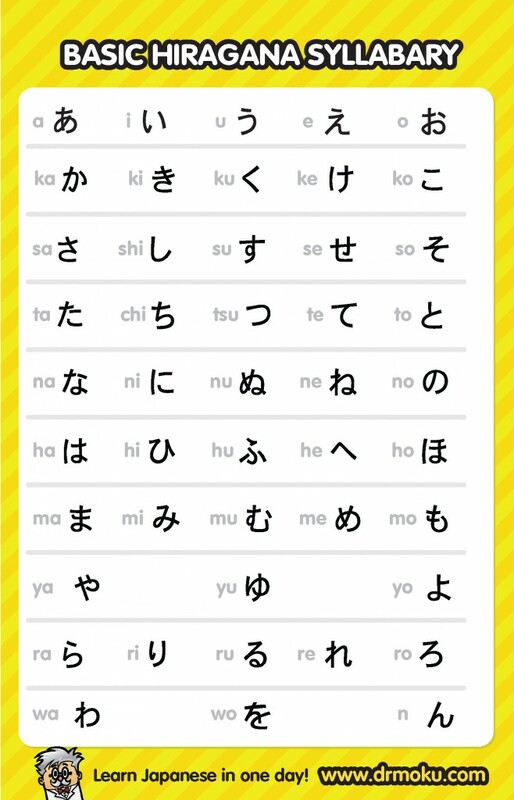 Click on the image for larger version of the Hiragana Chart then right click and ‘save image as’. 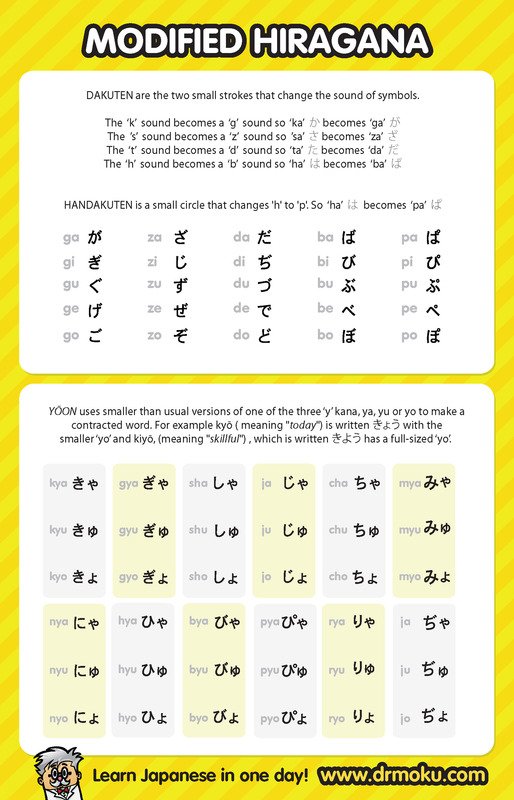 The Hiragana Chart .pdf can be found be found here and it contains some FREE Hiragana Mnemonics! There is also Romaji, the romanized version of Japanese which is basically just the plain old alphabet we use in English everyday. 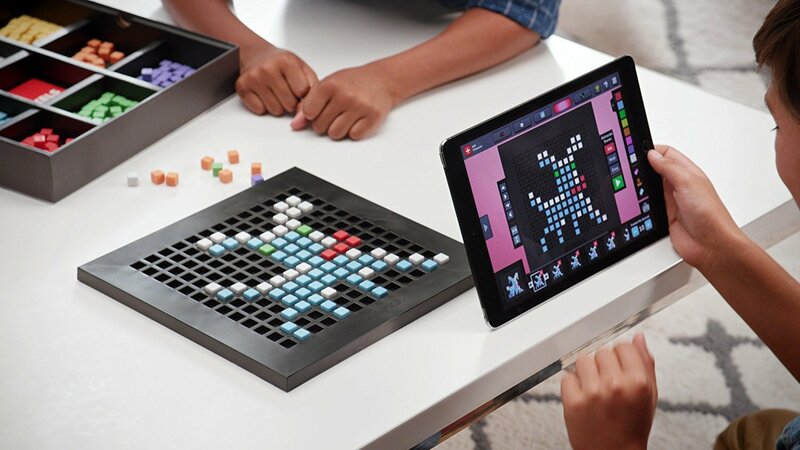 The primary usage of rōmaji is on computers and other electronic devices that do not support the display or input of Japanese characters and in educational materials for foreigners.